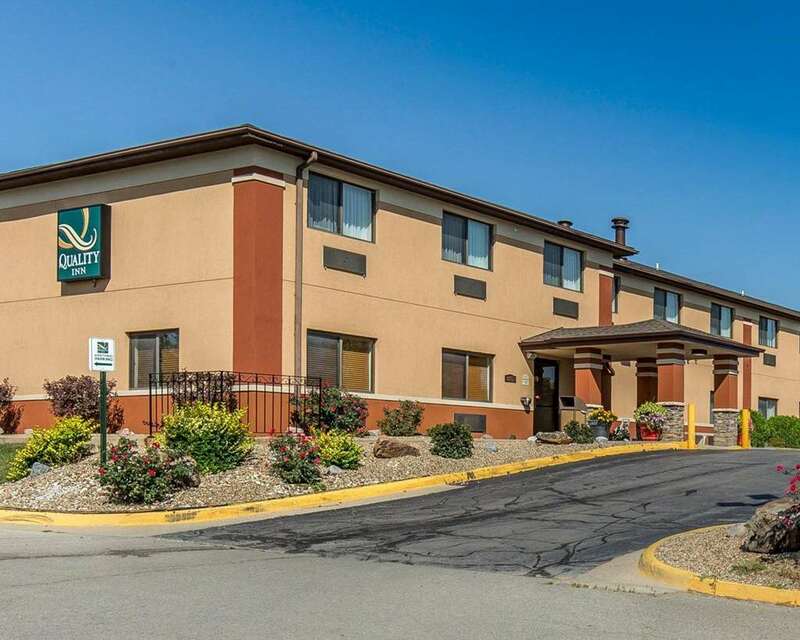 Located off I-380, the affordable Quality Inn at Collins Road hotel in Cedar Rapids, IA is just minutes from the Eastern Iowa Airport and many key business destinations. Here, we focus on giving you more for your money with amenities like our free WiFi, free hot breakfast, business center, exercise room and guest laundry facilities. We invite you to relax and focus on the important reasons you came to eastern Iowa in the first place. All guestrooms feature HDTVs, refrigerators, microwaves, coffee makers, hair dryers, irons, ironing boards and safes. Also, earn rewards including free nights and gift cards with our Choice Privileges Rewards program. Pet Friendly Hotel. Pet fee 15.00USD per pet per night. Maximum two pets per room, maximum 25 pounds per pet. All reservations require a refundable 50 USD cash deposit or a Credit Card on file with a 50 USD authorization to cover incidentals.